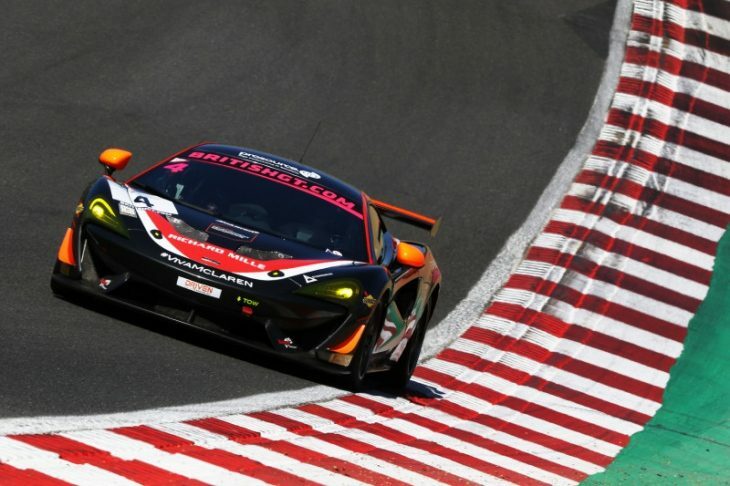 The last time Daily Sportscar spoke to McLaren GT4 driver Michael O’Brien, he had one round left of the 2018 British GT series, and was in prime position to take the GT4 title alongside teammate and co-driver Charlie Fagg. Fast-forward a few months and O’Brien and Fagg lost out by an excruciating two points, coming an eventual third in the championship. 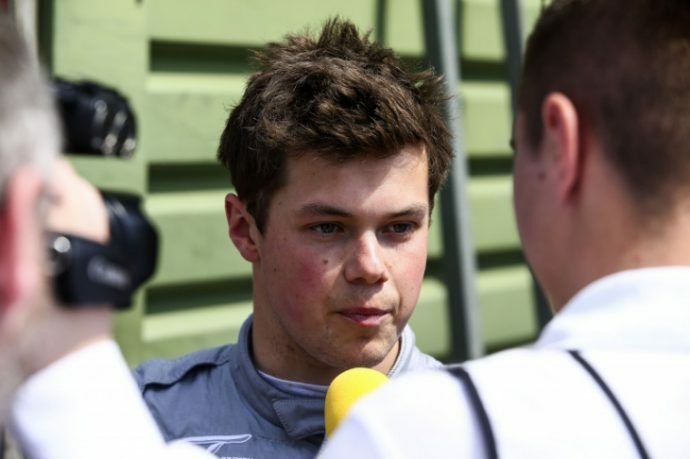 However, with the recent news that O’Brien has been promoted by McLaren to McLaren Young Professional status, from McLaren’s Driver Development Programme, he has been reflecting on his season and preparing for 2019, where he will be racing alongside Graham Johnson in a McLaren 570S GT4 at Balfe Motorsport. O’Brien’s rise to McLaren Young Professional status has been rather meteoric. 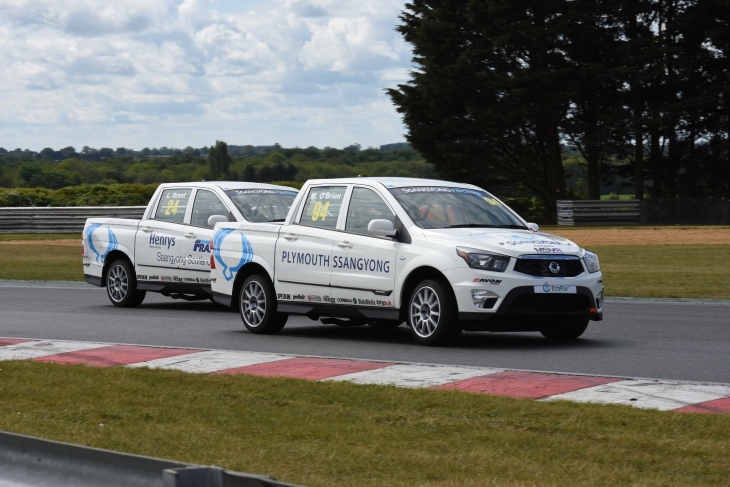 Just a year ago he had finished as runner-up in the SsangYong Pick-Up Challenge, as well as winning the Historic Formula Ford championship for his father’s team. He says these prepared him well for his career in GT racing, going up against top historic drivers, such as Cameron Jackson and Callum Grant, in historic Formula Ford, meaning good racecraft, consistency and race management was essential. At the same time, O’Brien says the skill of driving the SsangYong Musso, a heavy, underpowered car with a conventional seating position, doesn’t really translate to driving a McLaren 570S GT4. Despite this, O’Brien says the Musso was fun to drive and race, and he should know, finishing just one point off champion James Gornall. Once the selection process for the Driver Development Programme was over, O’Brien and his teammates – Lewis Proctor and Jordan Albert, who would drive Tolman Motorsport #5 McLaren 750S, and Charlie Fagg, who was alongside Michael in the #4 Tolman McLaren, arrived at a very wet Oulton Park for the inaugural round of British GT in 2018. Luckily, Tolman had tested in the wet previously, so this wasn’t O’Brien’s first experience racing a GT4 in slippery conditions. Nevertheless, he says it was challenging with spray from other cars, as well as debut race nerves coming into play. Nevertheless, O’Brien and Fagg managed to finish 2nd in GT4 and first in the GT4 Silver Cup, in a great British GT debut for O’Brien. The second race of the weekend, incidentally, was cancelled due to standing water on the track. The next round, the final British GT race at Rockingham before the venue closed at the tail-end of 2018, was another wet affair, but despite this O’Brien and Fagg managed to grab both pole and another podium in GT4 Silver Cup. O’Brien says that his experience of working with Tolman taught him “a lot about the setup of the cars and how it reacted in different situations through a race weekend”. A setup change Michael pushed for in the middle of the season for his own car was adopted by the other two Tolman McLarens, which Michael says was “satisfying”, and that a change he enacted could help the other five Tolman drivers. The Driver Development Programme is, naturally, tough work. O’Brien says a typical days includes fitness training, simulator work for the upcoming race, in order to hone car setup and track layout knowledge, plus meetings to analyse the data to extract every last bit of performance from both car and driver. Through the programme, O’Brien says he’s learnt about how to train the parts of his body that undergo the most stress during racing, and about how nutrition can affect both mental and physical performance. Maybe more so than the actual driving, these are all things that racing drivers must be completely on at home with if they want to get to the pointy end of the grid, so it’s good to see McLaren’s Driver Development Programme fully preparing burgeoning drivers with everything they need to reach the top. Back on the track, this time at Snetterton, O’Brien and Fagg won in the GT4 Silver Cup and came second overall in GT4, scoring a 1-2 for Tolman Motorsport alongside teammates and pro-am pairing Joe Osborne and David Pattison. The second race wasn’t as successful, ending up sixth, although this was more than they had expected after qualifying a lowly 12th. Unfortunately, O’Brien didn’t get to drive at Silverstone due to teammate Charlie Fagg crashing early in his stint – all the more unfortunate because O’Brien’s father Mike, himself a BTCC race winner in the 80s, was at the race. O’Brien says he feels his strongest attribute is his attention to squeezing out every last bit of performance, both his in driving style and the car setup. This allows him to progress quickly and better understand the car and its reaction to his driving, which potentially enables him to leapfrog over rivals who are not as attentive. O’Brien says qualifying was his weakest attribute coming into 2018, but has worked considerably on one-lap pace during the season and now feels like he’s on top of it, or so he says. The penultimate round at Brands Hatch was looking good, with Fagg in 3rd until he hit trouble with a puncture with an hour to go, handing over to O’Brien at the subsequent pitstop. A 15-second pitstop penalty, due to needing to pit under the safety car early in the race when the pit window wasn’t open, didn’t help matters either, with O’Brien eventually bringing the car home in 8th in class. And so the championship all came down to the final round at Donington. Would Jack Mitchell in the #43 Century Motorsport BMW, he’d had different teammates through the season – seal the deal, or could O’Brien and Fagg score enough points to overcome Mitchell? Unfortunately, it wasn’t to be, despite O’Brien and Fagg finishing the race second, two places ahead of Mitchell/MacDonald’s #42 BMW. All the more excruciating was those 2 points to win the overall GT4 championship, or 1 point to win the GT4 Silver Cup, again from Mitchell. Despite this, O’Brien is positive about the season on the whole. 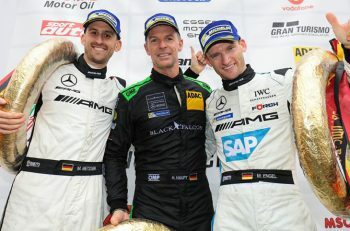 “Finishing as the top McLaren was a good feeling and certainly one of my goals at the start of the season,” he says. And he’s right: himself and Fagg beat both their pro-am teammates and their fellow Driver Development Programme members in the #5 McLaren. McLaren has obviously seen something in O’Brien’s driving because they’ve promoted him to Young Professional status, which he calls “the next step” in a career where he is aiming big. 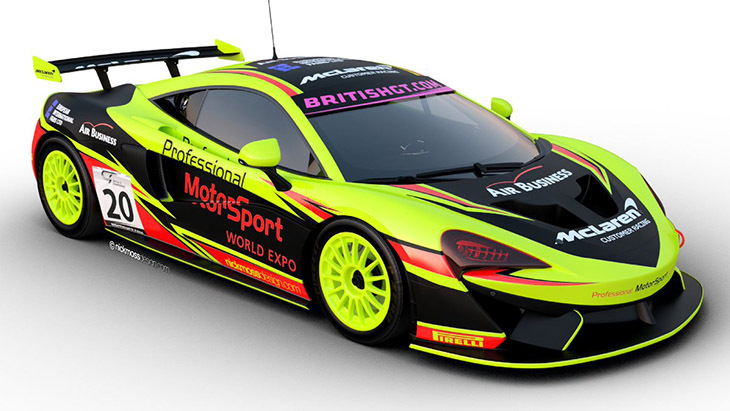 Naturally, O’Brien’s goal is to win “as many GT & sportscar championships as possible” with McLaren. More specifically, he aims to win the WEC and Le Mans, and to that end aims to get experience in prototypes this year – so watch this space! 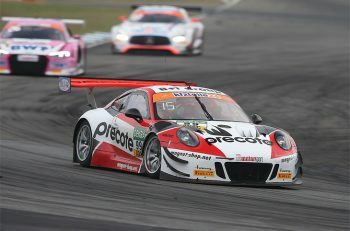 However, British GT and the GT4 remain his priority, as he works to win the championship he came so close to winning in 2018.